I have such a huge soft spot in my heart for wedding professionals, and this brand was so much fun for me! 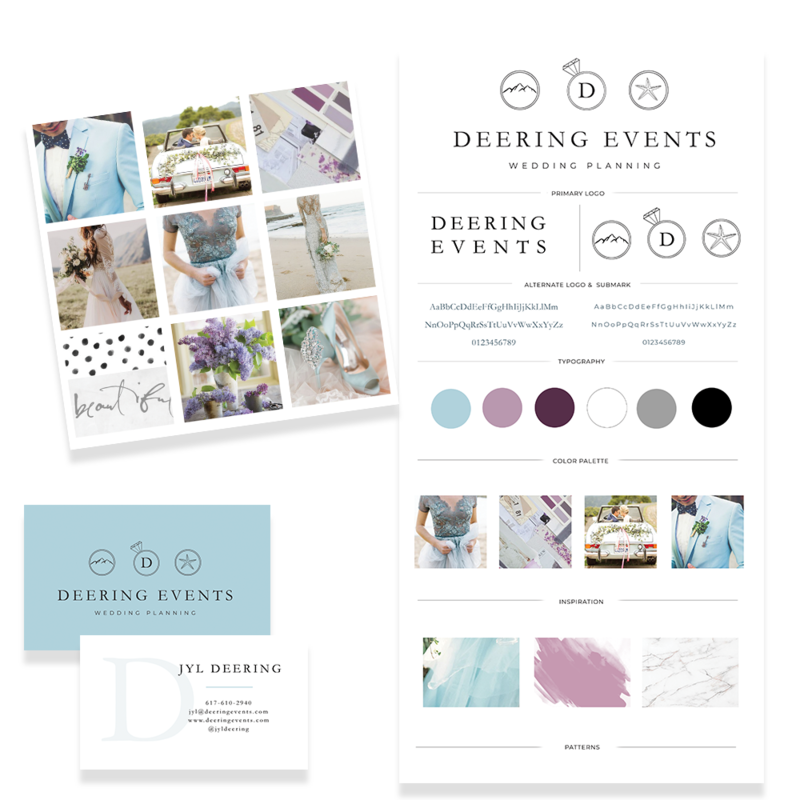 This spring Jyl, who is an East Coast wedding planner reached out as she took the leap of faith and started her own planning business, Deering Events. She caters to couples in two different locations on the coast – Cape Cod, and also North Carolina. So she wanted to pull in some mountain and ocean elements to really tie the two couples together. 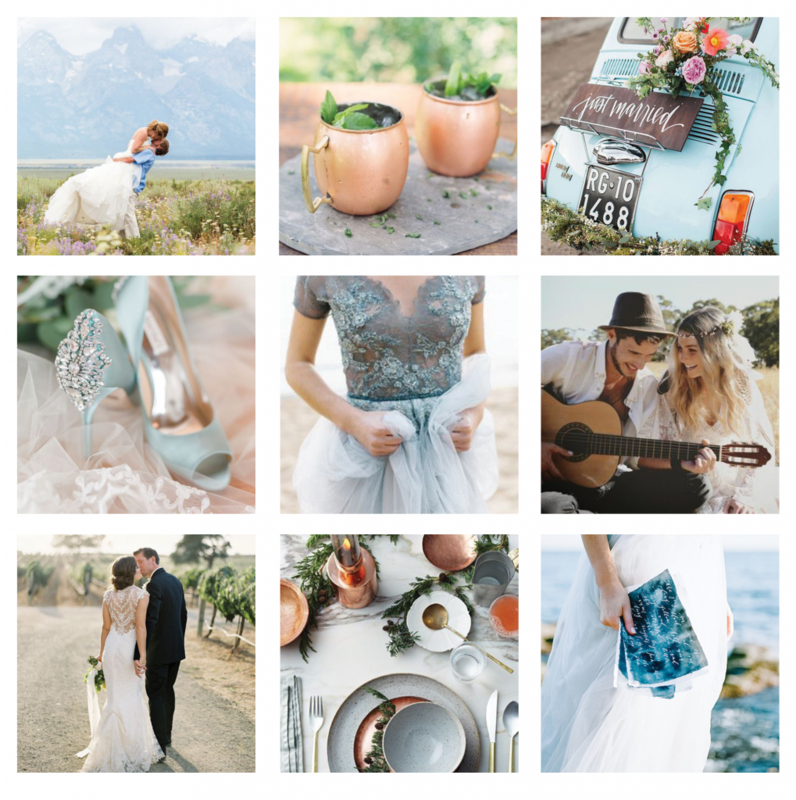 Since meeting her I have followed her along on IG and my goodness her work is insane, and she is so detailed-oriented to ensure that each event is focused on the couple and truly making it all about them. 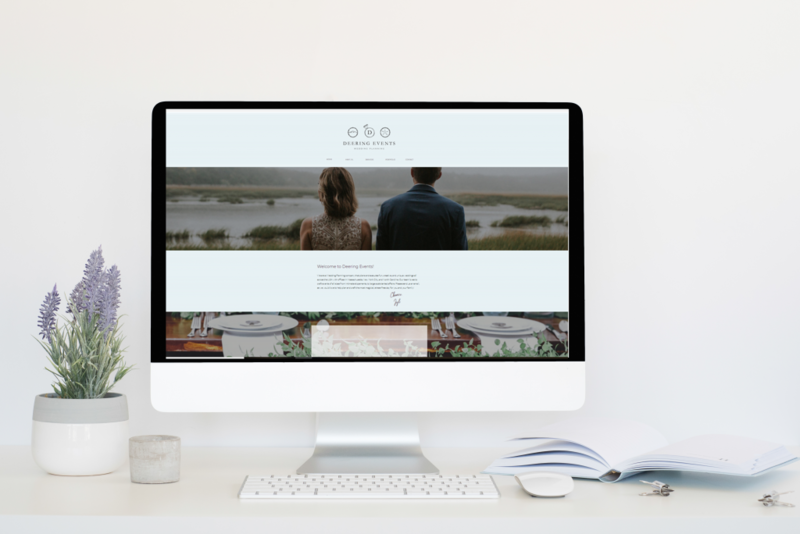 Jyl has had the pleasure of being featured on a variety of blogs and publications, which include: Wedding Lovely, Bridal Guide Magazine, Martha Stewart Weddings, SheFinds, The Muse. The design process started with an in-depth homework session for Jyl to answer many questions regarding the vision for Deering Event’s brand and web design. Some of the questions included detailed information about business values, her ideal client, overall aesthetics, and future goals for her business. Once the mood board was designed, I started on designing her logo. Although this logo is busier than my typical designs including the 3 submarks in her main logo was important to Jyl. She is also equipped with a simpler version to use throughout her branding, where she needs to keep things light and in places she just wants to shake things up a bit. From there, we went right into the design of her business cards. Jyl was amazing and was more than willing to jump on the Showit bandwagon, which I had been dying to do for some time. And man, we are so thrilled that she did! Her site is simple, elegant, with bouts of fun elements, and without a lot of clutter or fluff. I just love the images that she pulled into the project – they definitely show off her range of talent and eye for detail. Be sure to head over to her website, and check out her beautiful new site and brand!